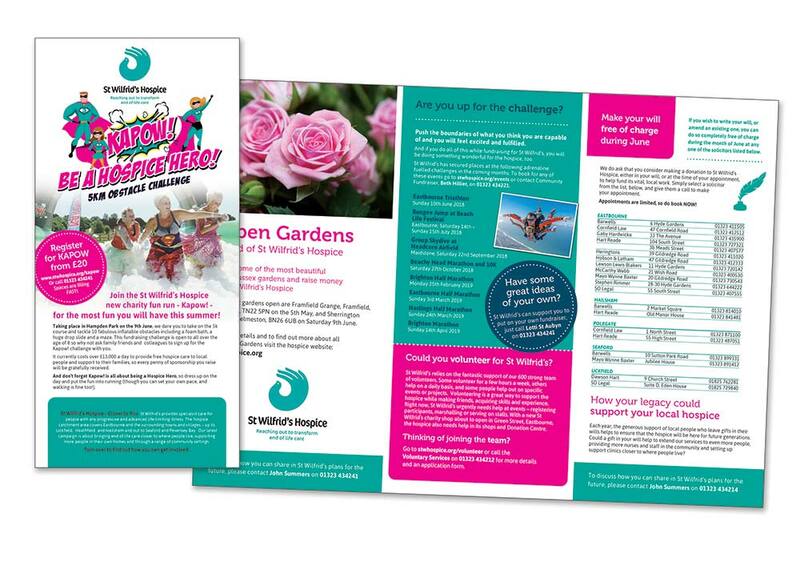 Media Circus were commissioned to design various folding leaflets for St Wilfrids fundraising campaigns. Emma worked closely with the marketing teams to get the messages across whilst keeping within their branding style. Thousands were then printed and distributed door-to-door by Door Droppers. 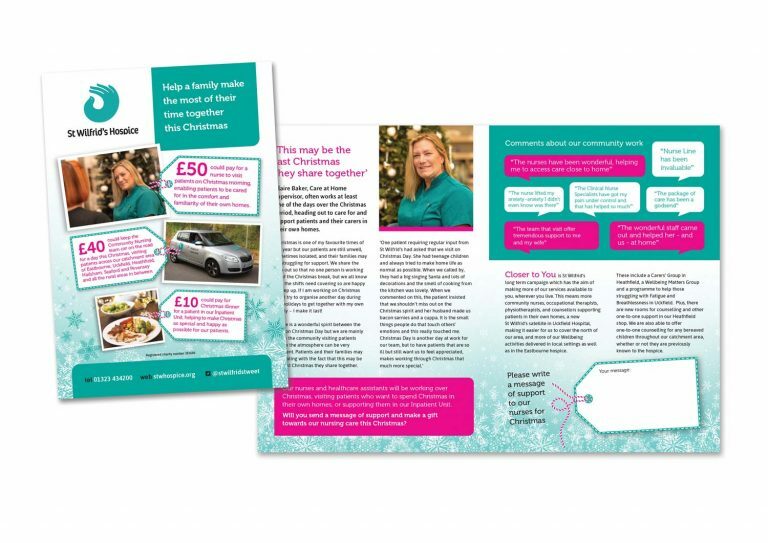 A further campaign was commissioned for a Christmas Fundraising Campaign, and Media Circus produced designs for a door drop pack including a leaflet, letter and envelope design.